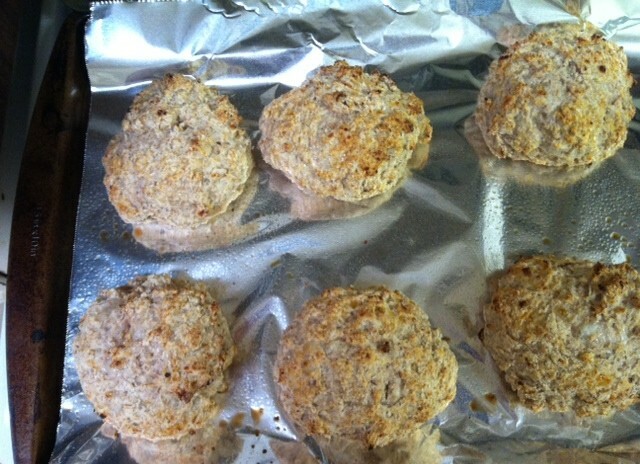 I stumbled across a recipe for cottage cheese biscuits on the Healthy Recipes Blog (I recently discovered this site and fell immediately in love). I thought the biscuits looked interesting, and I happened to have cottage cheese in the fridge, so I decided to give it a whirl. 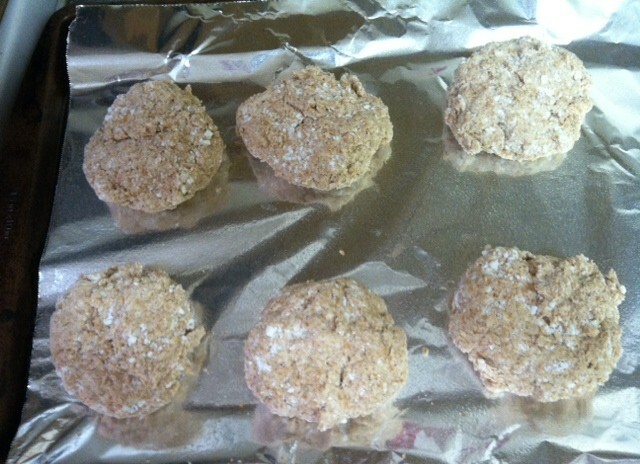 I modified the original recipe slightly, and you can see my full recipe below. 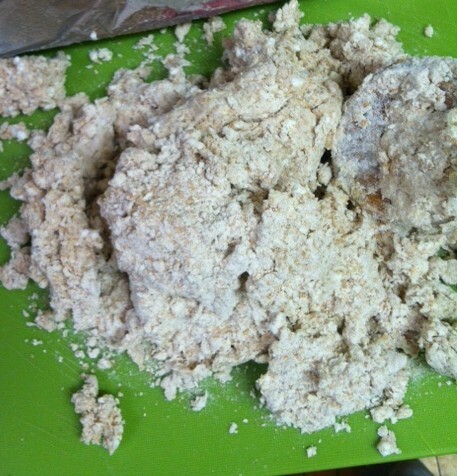 before using hands – very crumbly! Cook for 15 minutes at 450°. 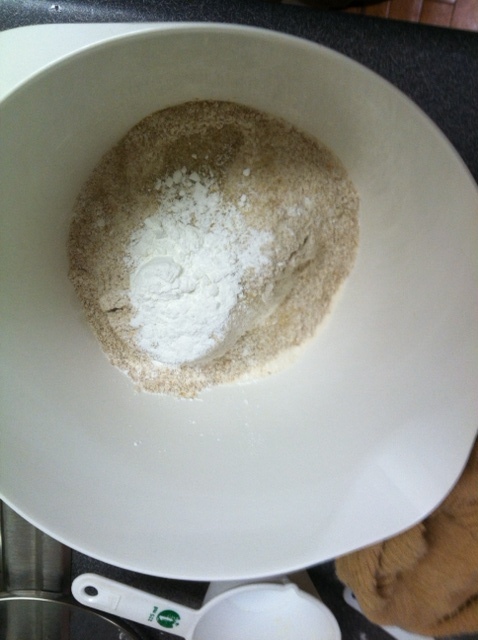 Mix together flour, sugar, and baking powder and a large bowl. Once combined, add in cottage cheese and milk. Stir or knead with hands until a shapeable dough forms. and bake at 450° for 15 minutes until the tops are golden. I try to have three components to my meals: starch, vegetable, and protein. 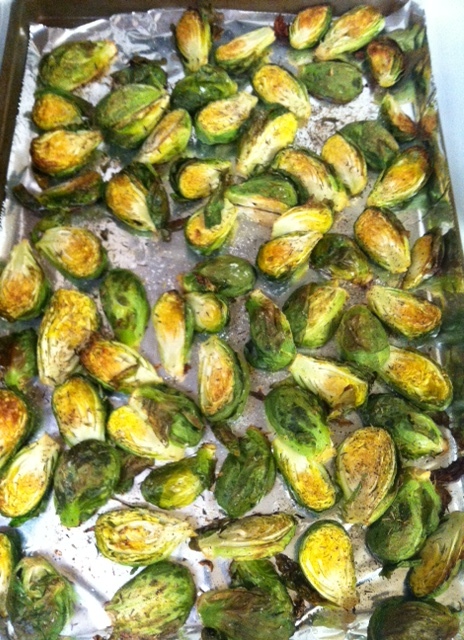 (Breakfast is exempt from this policy) With the biscuits as this week’s starch, I decided to roast up some brussel sprouts to go with. I tossed the brussel sprouts with a little coconut oil, arranged on a baking tray, and sprinkled with salt, pepper, and thyme. I cooked for 30 minutes at 400°. I always struggle to determine how long and at what temperature to roast vegetables. This timing/temp combination worked very well and I will definitely be using again. 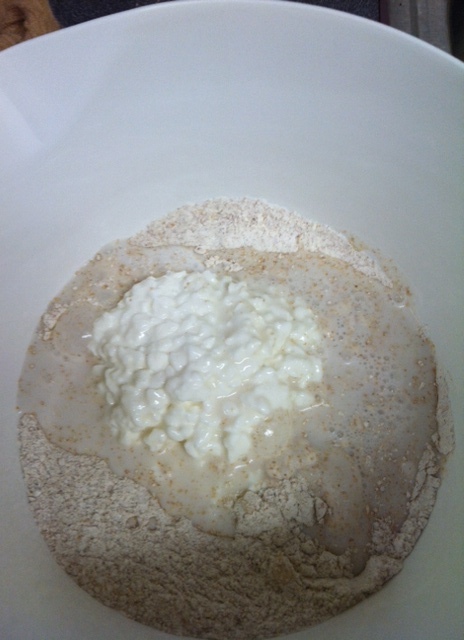 Huh, I have some leftover whole wheat flour… and cottage cheese… think I might just know what breakfast will be tomorrow.